Consumer confidence dipped once again in March after bouncing back slightly in February. The Consumer Confidence Index fell by 7.3 points, coming in at 124.1. Experts say that consumer confidence has been turbulent to begin 2019 due to a variety of factors. How big can a company get before it becomes too big for the government or fails to follow through on its promises to the consumer? Is Amazon too big to trust? Is Google? Facebook? The answers would be no, no, and yes according to a new survey on “institutional confidence.” Those results came out of the American Institutional Confidence Poll, a survey that canvassed Americans’ satisfaction levels on 20 different topics ranging from banking to healthcare. After posting a moderate gain in September, The Conference Board Consumer Confidence Index retreated this month. The index now stands at 97.6, a loss of five points from the previous month, while the Present Situation Index fell from 120.3 to 112.1, and the Expectations Index edged down to 88.0 from 90.8 in September. Consumers’ view of current conditions was somewhat less positive in October. Those saying business conditions are “good” dipped from 28.1% to 26.5%, while those who see conditions as “bad” rose from 16.4% to 18.3%. Respondents were also less upbeat about the job market. Those who think jobs are “plentiful” decreased from 24.8% to 22.2%, while those who believe jobs are “hard to get” edged up to 25.8% from 24.9%. Optimism about the short-term outlook was more subdued in October. The percentage of consumers expecting business conditions to improve over the next six months was unchanged at 18.1%, while those who said business conditions will worsen inched up to 10.6% from 10.4%. Consumers’ outlook for the labor market was slightly less optimistic. Those anticipating more jobs in the months ahead declined from 14.9% to 14.5%, while those expecting fewer jobs rose from 15.9% to 16.9%. The proportion of consumers expecting their incomes to rise slipped from 18.7% to 18.0%, while the proportion who believe there will be a decline increased from 9.9% to 10.7%. The monthly Consumer Confidence Survey, based on a probability-design random sample, is conducted for The Conference Board by Nielsen, a provider of information and analytics around what consumers buy and watch. The cutoff date for the preliminary results was October 15. U.S. consumers, it appears, are in the summer doldrums. 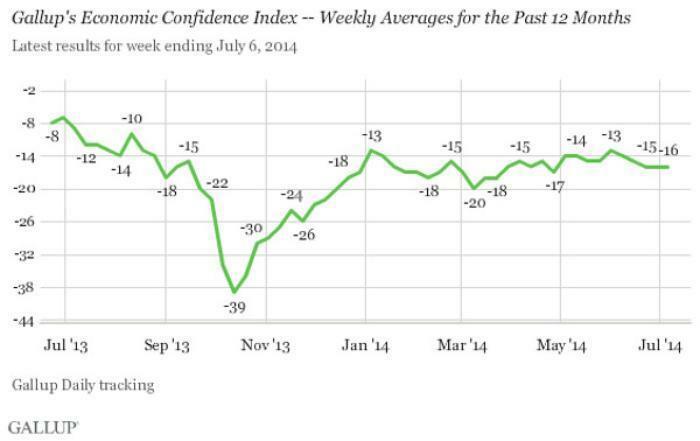 Gallup says its U.S. Economic Confidence Index remained at -16 last week – the third straight week at that level. The index dropped to -13 at the start of June, them dipped to -16 in the middle of the month, and has not moved since. Currently, one in five consumers (20%) say the economy is excellent or good, while 33% say it's poor -- resulting in a current conditions index of -13. As for the economy's future, 38% say it's getting better, while 56% say things are getting worse, for an economic outlook score of -18 -- the same as the previous week's score. The recent slight dip in the overall index is attributable to losses in the outlook component since early June, while consumer attitudes about current economic conditions have held steady. This punctuates the pattern seen throughout 2014, with consumers' perceptions of the current state of the economy inching higher -- now up five points from -18 at the start of January -- while their outlook for the economy has gone in the other direction -- falling 10 points from -8. Consumers' overall confidence in the economy has been relatively steady all year, and that has continued over the last three weeks, with confidence consistently at -16. This stability, however, masks the good news that perceptions of current conditions have improved, and are now approaching their highest level in five years. However, pessimism about the economy's direction is mounting, and is keeping the overall index from climbing any higher. Even last week's promising jobs report and stock market highs couldn't lift consumers' confidence, suggesting stability may be in the forecast for the foreseeable future. Meanwhile, gas prices, which now top $4 in some states, could have prevented any potential gains in confidence. The Economic Confidence Index is the average of two components: Consumers' views on the current economic situation and their perceptions of whether the economy is getting better or worse. The potential high is 100, if all were to say the economy is "excellent" or "good" and that it is getting better; the potential low is -100, if all were to say the economy is "poor" and getting worse. Since January 2008, when Gallup began tracking economic confidence daily, the weekly averages have ranged from -65 in October 2008 to -3 in May and June 2013. Consumers have had a pretty good summer, if the Conference Board's Consumer Confidence Index is to be believed. After a big jump in August, the index -- a gauge of how consumers feel about economic issues -- has reached an 18-year high. To be precise, the last time consumers felt this good about the economy and their present situation was just before the dot-com crash of 2000. This month the index reached 138.4, up from 134.7 in August. The Conference Board's monthly survey shows consumer confidence declined in March, following a February increase. The survey came out the same day CNBC released its own survey, showing Americans' economic optimism is the highest it has been since the recession ended a decade ago. 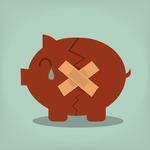 A new survey of consumers shows a declining level of confidence in their short-term financial outlook. According to Bankrate’s Financial Outlook Survey, 55 percent of consumers who were questioned don’t expect their financial situation to improve in 2019. This includes 12 percent who think their situation will be worse and 44 percent who think it will stay the same. There's a lot of talk about a financial recovery but for many Americans, that's all it is -- talk. So says the Consumer Reports Index, an overall measure of Americans’ personal financial health, which found that Americans reported a sharp rise in financial difficulties and a weaker view of their overall financial health in the past 30 days. “The economy is staggering along. This recovery remains the weakest since World War II. Uncertainty hangs over the lower-income consumers like a veil of smoke fed by the lackluster recovery in jobs, “said Ed Farrell, director of consumer insight at Consumer Reports. The Consumer Reports Index’s trouble tracker climbed to 46.0 in August from 34.7 the prior month. This significant rise was driven by a surge in financial troubles among lower-income consumers (households earning $50,000 or less) and Americans with a high school education or less. The trouble tracker measure addresses both the proportion of consumers that have faced difficulties as well as the number of hurdles they have encountered. Affluent and college-educated consumers showed little change in the amount of financial trouble they faced in the past 30 days. Lower-income households continue to be disproportionately affected by the economy’s crawling recovery. Twenty-seven percent of them reported they were unable to afford medical bills or medications in the past 30 days—that’s 11 percentage points higher than the national average. Missed bill payments and lost or reduced healthcare coverage also remain among the most prevalently reported financial troubles overall. The Consumer Reports Index’s sentiment measure dropped into negative territory for the first time in five months, falling to 48.6 from 50.8 the prior month. After three straight months of decline, sentiment is at its lowest level since October 2012. The greatest decline in sentiment was also among lower-income households and those that have a high school education or less. The level of stress that consumers felt was up from the prior month, 58.0 versus 53.7, respectively. The most stressed Americans: women (59.6), those in households earning under $50,000 (62.0), aged 35-64 (60.9), and those in the Northeast (61.5). The Consumer Reports Index, conducted by the Consumer Reports National Research Center, is a monthly telephone and cell phone poll of a nationally representative probability sample of American adults. Consumers appear to have become a bit wobbly about the economy in September. According to The Conference Board, its Consumer Confidence Index, slipped this month after showing some strength in August. It now stands at 79.7 – a drop of just over two points from its reading of 81.8 the previous month. The Present Situation Index grew to 73.2 from 70.9, while the Expectations Index fell to 84.1 from 89.0 last month. Consumers’ appraisal of present-day conditions improved moderately. Those who say business conditions are “good” increased to 19.5% from 18.7%, while those who think conditions are “bad” fell to 23.9% from 24.5$. Consumers’ assessment of the labor market also was more favorable. Those who believe jobs are “plentiful” inched up to 11.5% from 11.3%, while those saying jobs are “hard to get” fell to a five-year low of 32.7% from 33.3%. Consumers’ expectations, which had increased in August, declined in September. The percentage of consumers expecting business conditions to improve over the next six months edged up to 20.9% from 20.6%, while those expecting business conditions to worsen was virtually unchanged at 11.0%. Consumers’ outlook for the labor market, however, grew more pessimistic. Those anticipating more jobs in the months ahead dropped to 16.9% from 17.5%, while those anticipating fewer jobs increased to 19.7% from 17.2%. 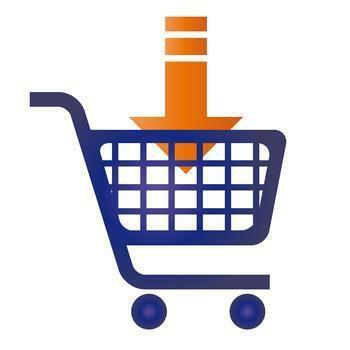 The proportion of consumers expecting their incomes to increase declined to 15.4% from 17.5%. The monthly Consumer Confidence Survey, based on a probability-design random sample, is conducted for The Conference Board by Nielsen, a provider of information and analytics around what consumers buy and watch. The cutoff date for the preliminary results was September 13. The government shutdown earlier this month, along with jitters about the debt ceiling, took a toll on the way consumers viewed the economy. The Conference Board says its Consumer Confidence Index fell sharply in October on the heels of September's moderate decline. The Index now stands at 71.2 -- down 9 points from where it stood last month. The Present Situation Index decreased to 70.7 from 73.5, while the Expectations Index fell to 71.5 from 84.7 last month. Consumers’ assessment of current conditions declined moderately. Those who think business conditions are “good” decreased to 19.0% from 20.7%, while those claiming business conditions are “bad” edged down to 23.0% from 23.9%. Consumers’ appraisal of the job market was less favorable than last month. Those saying jobs are “plentiful” was virtually unchanged at 11.3%, while those saying jobs are “hard to get” jumped to 35.8% from 33.6%. Consumers’ expectations, which had softened in September, plunged in October. Those expecting business conditions to improve over the next six months fell to 16.0% from 20.6%, while those expecting business conditions to worsen increased to 17.5% from 10.3%. There was also more pessimism about the outlook for the labor market. Those anticipating more jobs in the months ahead decreased to 15.3% from 16.1%, while those anticipating fewer jobs increased to 22.7% from 19.1%. The proportion of consumers expecting their incomes to increase rose to 15.8% from 15.1%. However, those expecting a decrease rose to 15.4% from 13.9%. The monthly Consumer Confidence Survey is conducted for The Conference Board by Nielsen, a provider of information and analytics around what consumers buy and watch. The cutoff date for the preliminary results was October 17. Not much movement in the Deloitte Consumer Spending Index during July. In fact, the Index was effectively unchanged in during that month and was relatively flat over the past three months. The Index tracks consumer cash flow as an indicator of future consumer spending. The Index, which is made up of 4 components -- tax burden, initial unemployment claims, real wages and real home prices – fell to 3.56 from 3.74 in June. 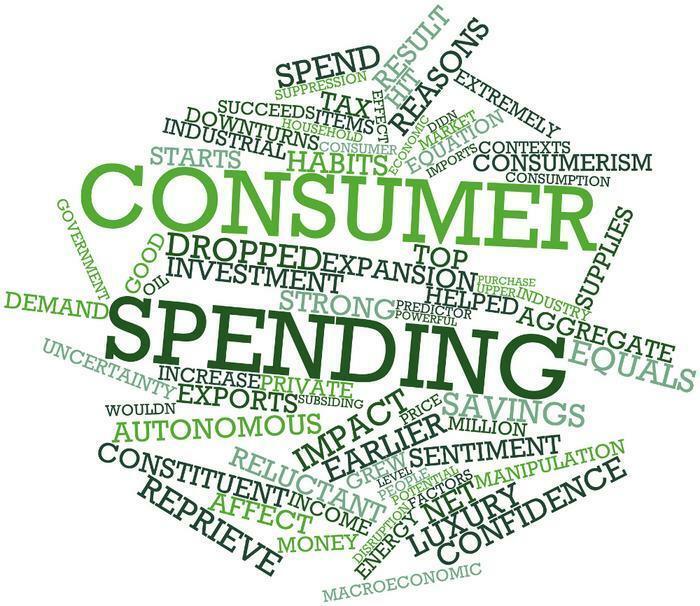 Continued economic fluctuations in areas such as housing and unemployment are cited as the main reasons that consumers are still hesitant to spend robustly. “Aside from a slow economic recovery, we’ve seen other factors challenging retailers -- particularly in our just released back-to-school and back-to-college studies,” said Alison Paul, vice chairman of Deloitte, and retail and distribution sector leader. Given these factors, Paul says retailers need to remain sharp by making their merchandise and offers extremely attractive to finish the back-to-school season strong. Tax burden: The tax rate continues a steady hold at 11.7%t showing a marginal decrease from prior month. Initial unemployment claims: Claims rose slightly this month to 315,000, but are still down 8.3% from the same period last year. Real wages: Real hourly wages dropped slightly to $8.79 this month, but remain at a higher level compared with the past 12 months. Real median new home price: New home prices continue to fluctuate, falling 3.5% from the prior month to $115,000. In what may be a sign of better things to come, the Deloitte Consumer Spending Index (Index) picked up in August. The Index tracks consumer cash flow as an indicator of future consumer spending. The Index, which ecompasses 4 components -- tax burden, initial unemployment claims, real wages and real home prices -- increased to 3.96 this month from 3.70 last month. Tax burden: The tax rate continues a steady hold at 11.7%, showing a marginal increase from the prior month. Initial unemployment claims: Claims decreased notably to 296,000, and furthermore were down 10.5% from the same period last year. Real Wages: Real hourly wages increased slightly to $8.80 and were up a slight 0.3% up from the same period last year. Real median new home price: New home prices continue to fluctuate as they fell 3.% from the prior month -- to $113,000. After posting an increase in August, the Conference Board's Consumer Confidence Index slumped in September, dropping from 93.4 to 80.6. In addition, the Present Situation Index fell to 89.4 from 93.9, and the Expectations Index dropped more than 9 points -- to 83.7. The September retreat came after 4 consecutive months of improvement. Consumers assessed current conditions less favorably in September versus a month ago. Their view of business conditions was virtually unchanged, with those saying conditions are “good” falliung slightly from 23.5 to 23.4%; those who think business conditions are “bad” held constant at 21.3%. Consumers’ appraisal of the job market declined more appreciably, with the proportion stating jobs are “plentiful” dropped from 17.6% to 15.1%. Those who believe jobs are “hard to get” was barely changed, at 30.1% versus 30.0 percent in August. Consumers’ optimism about the short-term outlook declined considerably in September. The percentage of consumers expecting business conditions to improve over the next 6 months fell from 20.8% to 18.6%, while those expecting business conditions to worsen rose from 9.9% to 12.0%. The outlook for the labor market likewise took a downturn. Those anticipating more jobs in the months ahead fell from 17.8% to 15.2%, while those expecting fewer jobs rose from 15.2% to 17.8%. The proportion of consumers looking for their incomes to grow rose in September to 16.8%, from 15.5% in August. However, the proportion expecting a drop in income also rose -- to 13.4% from 11.6% a month ago. The monthly Consumer Confidence Survey, based on a probability-design random sample, is conducted for The Conference Board by Nielsen, a leading global provider of information and analytics around what consumers buy and watch. The cutoff date for the preliminary results was September 18. After declining moderately in November, the Conference Board's Consumer Confidence Index showed a little improvement this month, rising 3.9 points from November -- to 96.5. In addition, the Present Situation Index increased from 110.9 last month to 115.3, and the Expectations Index rose to 83.9 from November's 80.4. After increasing in December, The Conference Board's Consumer Confidence Index was up moderately again in January, rising 1.8 points to 98.1. While the Present Situation Index was unchanged at 116.4, the Expectations Index advanced from 83.0 to 85.9. Consumers’ appraisal of current conditions was relatively flat in January. The percentage saying business conditions are “good” was virtually unchanged at 27.2%, while those who said business conditions are “bad” declined slightly from 18.9% to 18.5%. Their assessment of the labor market was modestly more positive. The proportion who see jobs as “plentiful” fell from 24.2% to 22.8%, while those who think jobs are “hard to get” dipped to 23.4% from 24.5%. Optimism about the short-term outlook improved somewhat. The percentage of consumers expecting business conditions to get better over the next six months rose from 14.5% to 16.2%, while those expecting them to worsen edged down from 10.8% to 10.3%. The outlook for the labor market was also slightly more optimistic. Those anticipating more jobs in the months ahead increased from 12.4% to 13.2%, while those expecting fewer jobs dropped slightly from 16.8% to 16.5%. 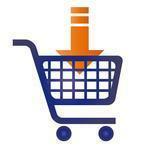 The proportion of consumers looking for their incomes to increase improved from 16.3% to 18.1%. However, the proportion expecting a reduction in income also increased -- from 9.5% to 10.8%. 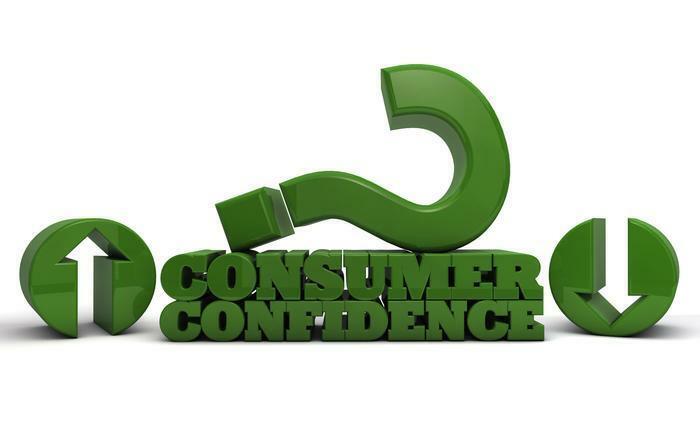 The monthly Consumer Confidence Survey, based on a probability-design random sample, is conducted for The Conference Board by Nielsen, a global provider of information and analytics around what consumers buy and watch. The cutoff date for the preliminary results was January 14. After posting a solid increase a month earlier, The Conference Board's Consumer Confidence Index moved sharply higher in March. The index shot up 9.5 points to 125.6, with the Present Situation Index moving from 134.4 to 143.1 and the expectations Index increasing to 113.8 from 103.9 last month. The index now stands at its highest point since December 2000. The appraisal by consumers of current conditions improved considerably in March. The percentage saying business conditions are “good” increased from 28.3% to 32.2%, while those who said they are “bad” fell to 12.9% from 13.4 percent. Consumers’ assessment of the labor market was also more positive, as the proportion of consumers who think jobs are “plentiful” rose from 26.9% to 31.7%; those who believe jobs are “hard to get” slipped from 19.9% to 19.5%. There also was significantly more optimism about the short-term outlook. More than 27% of consumers expect business conditions to improve over the next six months -- up more than 3% from February, while those expecting conditions to worsen dropped from 10.5% to 8.4%. Consumers’ outlook for the labor market also was more upbeat. The proportion expecting more jobs in the months ahead increased from 20.9% to 24.8%, while those anticipating fewer jobs declined from 13.6% to 12.2%. The percentage of consumers expecting their incomes to increase improved to 21.5% from 19.2%, while the proportion looking for a decrease dropped from 8.1% to 7.0%. The monthly Consumer Confidence Survey, based on a probability-design random sample, is conducted for The Conference Board by Nielsen around what consumers buy and watch. The cutoff date for the preliminary results was March 16.